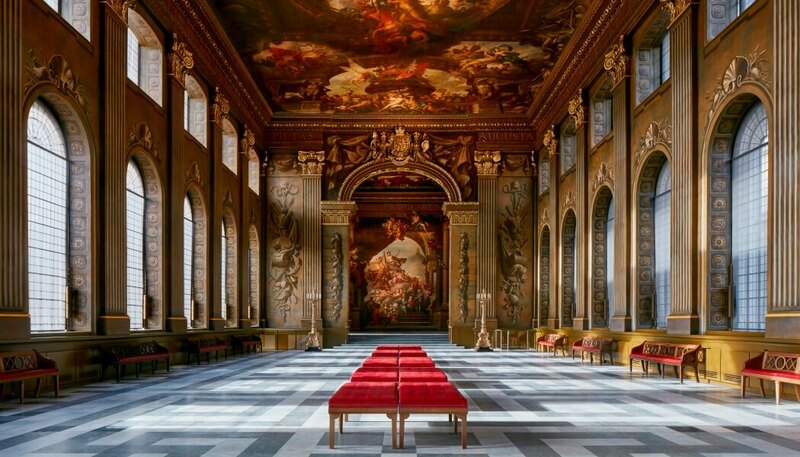 The Old Royal Naval College says the reopening of The Painted Hall in Greenwich is part of a major transformation project by Hugh Broughton Architects – with conservation advice from the College’s Surveyor of the Fabric, Martin Ashley Architects – that will also see the reopening of the King William Undercroft. 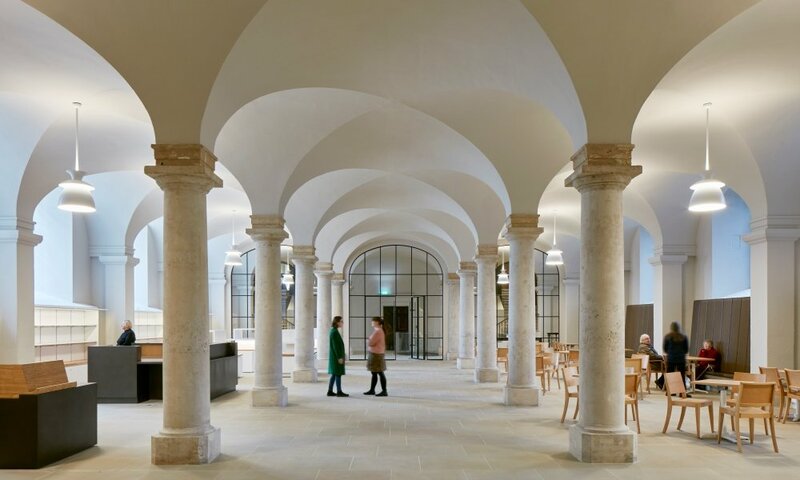 Situated below the Painted Hall, the newly restored Undercroft space now houses a new café, shop and interpretation gallery, The Sackler Gallery. The Old Royal Naval College has been shortlisted for the Restoration or Conservation Project of the Year at the Museum + Heritage Awards 2019. The Painted Hall is the centrepiece of the Old Royal Naval College, designed by Sir Christopher Wren as a ceremonial dining room for what was then the new Royal Hospital for Seaman, the Painted Hall was completed in 1705. The College says its vast decorative scheme was painted by Sir James Thornhill, the first British artist to be knighted and, started in 1707, took 19 years to complete. The ground-breaking project to clean and conserve the paintings started in 2016 under the supervision of specialist conservators Stephen Paine and Sophie Stewart, it says. Since the last campaign of restoration in the 1950s the paintings had deteriorated, with large areas of ‘blanching’ or whitening covering the surface and obscuring the detail. For two years, a small team of conservators worked to stabilise and rejuvenate the paintings, with spectacular results. Now he says the colour, clarity and richness of the paintings can be enjoyed, illuminated by a new state-of-the-art LED system. A range of new technologies have also been introduced to stabilise the Hall’s environment and ensure the long-term preservation of the paintings. The project was also one of the largest open-access conservation projects in Europe and between 2017 and 2018 an accessible observation deck gave more than 80,000 visitors the opportunity to observe the conservators at work. What do the paintings depict? The paintings celebrate England’s naval power and mercantile prosperity, as well as its newly installed protestant monarchy, which sees successive monarchs William III and Mary II, Anne and George I join a cast of hundreds of figures, mythological, allegorical, historical and contemporary. The scheme’s celebration of the English protestant monarchy was set against the perceived autocracy of predominantly Catholic Europe. The main section of the ceiling (the Lower Hall) features William III taking an olive branch from a figure representing peace and passing the ‘cap of liberty’ to the kneeling figure of Europe. At the same time the king tramples on a crouched figure representing arbitrary power and tyranny – a thinly veiled portrait of Louis XIV of France. The late 17th and early 18th centuries were a time of great uncertainty in Europe, with competing powers sparring for control of the continent and grand alliances made between nations to prevent dominance by any one European state. 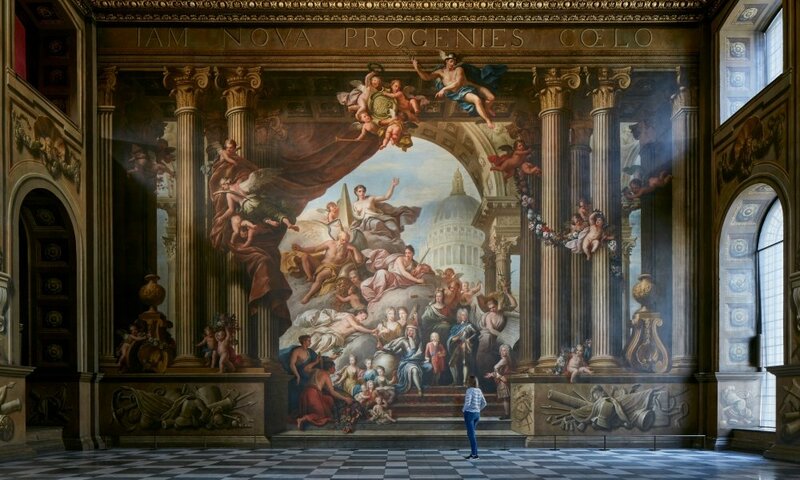 The story presented in the Painted Hall is one of stability and prosperity in Britain, underpinned by the nation’s naval power and benign constitutional rule. The other section of the ceiling (the Upper Hall) honours Queen Anne whose reign oversaw the unification of Great Britain.